I know, I know... it's been ages since I've posted here at the blog. That's because I've become very selective about what, when, and why I'm sharing with the online world. (I've been moving steadily in that direction for quite a while now, as you might remember from my post called Why I've Been Silent.) I'm still teaching online photography courses regularly (which keeps me in the loop with my creative friends) and I'm still sharing on Facebook and Instagram (although I've relaxed the time between posts, and that feels quite nice). But now, I have a wonderful reason to pop back in: I've got a brand-new, beautiful book that's fresh off the press and I couldn't wait to share it with you here! Created with Joy: Selected Works by Photography Students. Vol. 1, features some of the very best work of twenty of my photography students from around the world. I made sure to call it "Volume 1" because there are so many more talented students with gorgeous work that I would love to feature in future volumes, but for now, let's celebrate the work of the first twenty! Each photographer in this book has a spread with two or three of their lovely photographs, plus a quote (or two) about what inspires them behind the lens and beyond it. The book is pictured above, gracing my coffee table, and it makes me so happy just walking by it every morning! Wouldn't this book look pretty on your coffee table? It would also make a wonderful holiday gift (and would save you a trip to the dreaded mall!). 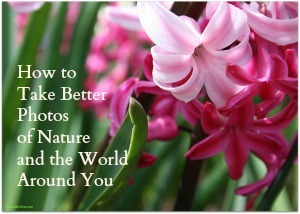 I promise it will inspire you to look closer at the everyday beauty all around you. The pictures are, in a word, stunning. Until next time, stay cozy! And if I don't see you here before the holidays, I wish you the merriest and happiest! P.S. Online courses coming up in February and March: Soul Focus: Finding Peace Through Photography and Soul Focus 2: Delving Deeper Into Mindful Photography. Registration isn't open yet, but if you're subscribed to my Writing with Light newsletter (below) or following me on Instagram, you'll get the first notice. Hope to see you "in class" in the new year! I'm popping in for a mid-March visit at the blog because I just had to share some snapshots -- all unretouched! -- of a recent trip we took to Cape Cod. In case you didn't know, Cape Cod is a photographer's dream. A family matter led us to the Cape a couple of weeks ago, and even though the wind was gusting and we were all zippered-up in our winter coats, it was still so incredibly peaceful to be at the beach. It was, of course, a bonus that winter at the beach means zero crowds, so we had these stunning vistas all to ourselves (give or take a few dog-walkers). I've long studied the Cape Cod paintings of Edward Hopper and admired the quiet, ethereal beauty of his landscapes. Walking in his footsteps, with my camera instead of a paintbrush, I felt truly inspired by the views. We made it off the Cape just a day before a blizzard hit, dumping a couple of feet of snow (a rare occurrence for Cape Cod). I'm thankful the weather cooperated for our stay. "This bare and bended arm it is that makes the bay in which they lie so snugly. What are springs and waterfalls? Here is the spring of springs, the waterfall of waterfalls. A storm in the fall or winter is the time to visit it; a lighthouse or a fisherman’s hut the true hotel. A man may stand there and put all America behind him." I can't wait to get back to Cape Cod, one day... someday. Until then, I'll keep it safely tucked inside my heart. Although I lost my status as a Night Owl years ago when I became a parent, I'm not always a Morning Lark either. Most days, I seem to wake myself up just a few minutes before my alarm rings, but sometimes, I need a bigger jolt to get myself out of bed. Previously, on mornings when I was feeling particularly groggy, I would reach for my iPhone and scan the latest headlines. Out of bed I'd jump, thoroughly alarmed! "It doesn't feel like we're reading news for the reason we used to, which was to get a better sense of what's going on in the world and to enrich yourself by being aware. It seems like we're reading wrestling rumors. It's like reading about what happened on Monday Night Raw. When you take a step back, it all just seems so sensationalized... So if you take yourself out of it, you're not infected with this toxicity all the time." I didn't even know it was possible to remove the news from my iPhone. I thought it was a built-in feature--whenever I swiped left from the home screen, there was an assortment of hysterical, apocalyptic headlines waiting just for me, courtesy of Siri's automatic suggestions. But after a little bit of googling, I found out how to remove those headlines. Guess what? My mornings are now news-less and much more peaceful. I'm not saying that I never look at the news anymore. Sometimes, later in the day, I'll check in to see what's happening. But the point is that I don't assault myself with the headlines first thing in the morning. I have to actively seek out the news, and now I do it when I'm mentally prepared to deal with it. It also helps enormously that I get to choose my own news sources, instead of taking Siri's suggestions. "The first thing I do when I wake up in the morning is read something inspiring. I like jump-starting my day with a reminder that I am a spiritual being having a human experience. My favorite teachings are always within reach, right on my nightstand." I'm with Oprah. (That must be a hashtag, right?) Here's to mornings that begin with inspiring words instead of alarming ones. If this post resonated with you and you'd like more mindfulness and creativity in your daily life, my next e-course, Soul Focus: Finding Peace Through Photography, starts just one week from today, on January 16, 2018. Join me! All the details are in this link, but if you have any questions, email me at JoyfullyGreen.com@gmail.com. Hope to see you "in class!" On the same topic as this post, here's one from the archives: Could You Put Yourself on a News Diet? I know, I know. It's been FOREVER since I've published a blog post here. But I didn't want to close out 2017 without wishing you the sweetest, brightest, healthiest, happiest new year possible, and thanking you for your visits. I also want to give you a little gift: Some FAB book recommendations! Personally, I'm always on the lookout for my next great read, despite the fact that I have a teetering, tottering pile of books waiting impatiently for me. (Ah, the trials and tribulations of a bibliophile!) Not all of the following books are newly published, but they are all ones that I read and LOVED within the past year. Hope you enjoy them, too! The Whisper by Pamela Zagarenski. This is a children's book I bought for my ten-year-old daughter, but truth be told, I also bought it for myself! The intricate illustrations are out-of-this-world gorgeous and I love the message of the book: that it's up to us to create our own stories. The Handmaid's Tale by Margaret Atwood. After watching the riveting (and harrowing) TV series on Hulu, I wanted to read the original. It did not disappoint. Pax by Sara Pennypacker; illustrations by Jon Klassen (one of my favorite illustrators). Another children's book that I've squirreled away from my kids. I cried and cried, which is actually something I love to do with a good book. It's so cathartic! Gift from the Sea by Anne Morrow Lindbergh. I'm automatically drawn to any book that's about making time and space for creativity, and this is a classic on the topic. Maddie Lounging on Things by Theron Humphrey. Because "rescued" is my favorite breed, and the sweet, funny photographs of Maddie the dog made me smile all the way through. The Piano by Jane Campion and Kate Pullinger. I found this book in the discard pile at the library (score! ), and having loved the movie ages ago, I decided to give it a read. It's just as poetic as the movie. Abandoned Places by Henk van Rensbergen. A tiny photography book with haunting pictures of once-inhabited spaces. Oh, the stories these places could tell! Nature/Walking by Ralph Waldo Emerson and Henry David Thoreau (two famous essays in one volume). Do you really need a reason to read the musings of two of the greatest minds in history? No, I didn't think so. The Power of Kindness by Piero Ferrucci. Inspiration aplenty, without being preachy. I wish this book were required reading in every single school. Well, there you have it! Need more book recommendations? Check out my post called Good Books for Bad Weather. Happiest holidays and my very warmest wishes for 2018! It seems like it was just a couple of weeks ago that I was floating along dreamily in a swimming pool, gazing up at the hazy summer sky. But the leaves tell me a different story of time-keeping, and the morning temperatures have been sliding steadily down the thermometer. I'm not sure if I'm quite ready for winter just around the corner (okay, let's be honest: I'm completely not ready for it! ), but this last hurrah of the year, with its festive confetti of leaves, is keeping my spirits up. And of course, it's giving me all kinds of new photo ops! So, while I'd really rather still be floating along in those dreamy days of summer, I'll take the new season in good stride, layering on the sweaters and heading out into the nippier air. It's the least I can do when Mother Nature is putting on such a pretty Arts & Crafts show, don't you think? I seem to have fallen into a natural pattern at this blog of posting only once per month, and let me tell you something: It feels good. I find myself wanting to keep more of my life close to me. In this ever-louder, over-sharing world, I can feel it in my bones that not everything needs to be said. Despite the Twitter mentality, not everything needs to be shared. Some things are more meaningful with personal reflection instead of public announcements. There is way too much digital clutter. And there is so much untapped beauty to be found in silence and solitude. My father was a very private, quiet person, happiest when he was reading a book, walking in the woods behind our house, or working alone in his three gardens. He used to go away on annual retreats where the guests would be silent for the whole weekend. This was in the 1970's and as a kid, I was more than a little confused by the concept of silent retreats. Now, I enjoy the same quiet things my father enjoyed, with a camera thrown into the mix. But it's a lot harder to find silence and solitude these days. When I was in Prague, I woke up at 5:45 am to try to catch the Charles Bridge in the golden light of dawn, before it was filled up with throngs of August tourists (of which I was one!). No such luck. Many other people had the same idea--particularly wedding photographers. In the picture below, if you look closely, you can see a bridal veil being held aloft by a photographer's assistant. I highly recommend all of them. I highly recommend adding more and more silence to your days. Try it and see if it feels really good to you, too. Enrollment is now OPEN for my October 2017 photography e-course, Beyond Auto Mode: How to Really Work Your DSLR Camera. Join me and let's work through your camera questions together! Click here to read all of the course details. If you're on Instagram, you can take $10 off via the link on my Instagram page (I'm @joy_sussman).